It is incredibly important to keep your customers interested in your products and services. Keeping your customers up to date with new information (regarding your company or ancillary posts that are related to your industry) constantly reminds them of your brand. Posting across numerous social platforms also allows for a larger audience to see those posts. Consistently creating new content for your customers to view will keep their interest focused on your products and services, ultimately driving higher leads and more sales for your business. 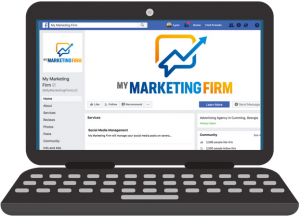 We fully customize our clients’ social media campaigns to align with their goals.